The victim was taken to a hospital and medics said his injuries were life threatening. He later died, Austin police said. AUSTIN, Texas — EDITOR'S NOTE: Officials provided information that inaccurately stated the driver worked for Lyft when they in fact worked for Uber. This article has been updated with correct information. A 21-year-old scooter rider who was reportedly struck by a car near Interstate 35 in Downtown Austin has died, Austin police said. He was identified as Mark Sands. Sands was an exchange student from Ireland. A GoFundMe has been set up to help his family cover medical costs. 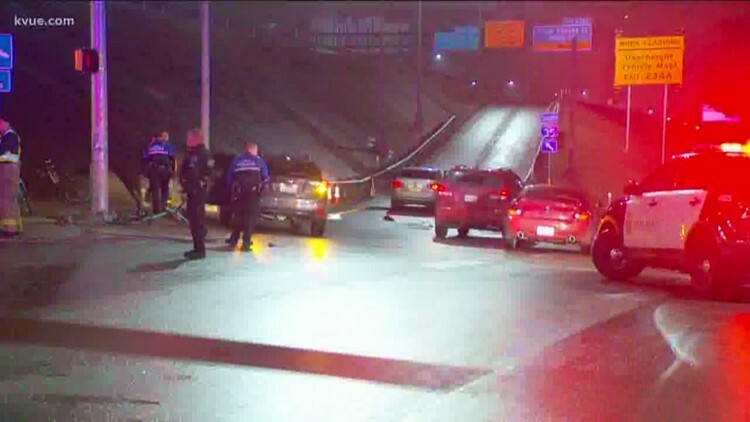 Police said on Feb. 1 at around 1 a.m., the Lime scooter driver was riding the wrong way on the 500 block of service road of I-35 when a Jetta hit him head-on. The Austin Police Department previously said the Uber driver was trying to get on the interstate. The man was taken to Dell Seton Medical Center at the University of Texas. He was pronounced deceased at 2:30 p.m. on Feb. 2. A man who was driving right behind the vehicle who hit the scooter rider described what he saw that night. "It was like an explosion. It sounded like a bomb going off, you know? Next thing we know, couple seconds we saw the body flying in the air and came right back down on the pavement," the witness told KVUE. Police said the Uber driver remained on scene is cooperating with the investigation. Toxicology results are still pending. APD is investigating this case. Anyone with information regarding this case should call the police department at 512-974-5576.